Today, I welcome this wonderful gal who is all about "gracious living." Mindy Lockard (etiquette consultant) has flown all the way from Oregon to share with our Ardsley Middle School students some fantastic tips, all about respect, handshakes, eye-contact and good manners. 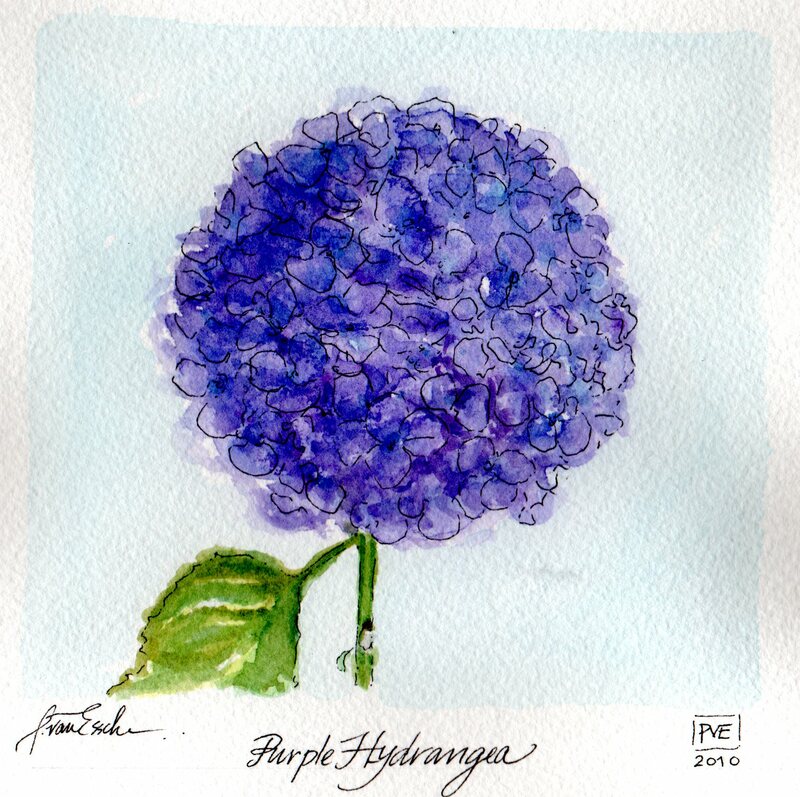 This lovely purple Hydrangea is all about gracious living. Please contact Mindy if you are interested in her services for yourself, your school or organization. Thanks to the blog world, Mindy and I met only a few weeks ago and planned to bring this event here. Thank-you Mindy. What a great idea! It's just not something that is taught here (and it shows!) but I love how Americans are always learning about etiquette! That's a wonderful idea. Some times I wonder if etiquette has taken a backseat and then I read a lovely post that lets me know it's alive and well. What a wonderful thing and so important in the world right now. Wonderful of you to leave such a kind comment here. You would love Mindy, she is so personable and she took the time to personally "shake hands" with each student. Etiquette is alive and well today here! Etiquette and blessings are all intertwined - Mindy shared the "glove" handshake, which most Pastors use or perhaps for those close to us who need to know we care. I know Mindy would love to come to your sons school! I attended the morning presentation and I thought it was wonderful to see how attentive the students were to good manners. Mindy called them "Ladies and Gentleman" which I thought was so wonderful. Respect for all should be instilled as a universal language and that is one thing Mindy stressed. R-E-S-P-E-C-T - I think that is so important for all ages! I know you are doing a wonderful job with your young ladies. love love love mindy's blog and glad to see you two meeting up! I love meeting and supporting other bloggers who are working, raising a family and leading by example! Reading your post today is a double pleasure. I love your art work and this one is just wonderful, perhaps the light blue wash makes that bountiful flower stand out. Sometime ago I contacted Mindy about a dilemma I had and she was very gracious. Please and thank you have a big impact. Lovely illustration of one of my favorite flowers. Manners are so very important in life. Mindy is a gracious woman for designing this program, and I am so glad the children responded in a positive way. Patricia: are you going to sell this gorgeous Hydrangea as a card on your Etsy store? I'm in love w/it. This is such a wonderful idea, since I feel that the juniors around me very often lack the basic curtesy and manners. I know you were raised with good manners and I see you "leading" by example not only to your children but to mine and I am so appreciative when you make a wrong a right. I love knowing that I have an angel watching my kids. Very cool! It's amazing how the blog world brings people together. Thank you for posting my little story alongside such a wonderful illustration. It just so happens to be my favorite. The ladies and gentlemen of Ardsley were a treat to work with. It means so much to me that you trust my work enough to share it! You are a most gracious lady. I loved reading about this blogger connection and meeting Mindy on your site! The blog world is fantastic, isn't it?!? Thank-you to each of you for your kind and very polite comments. I think we need Mindy to return in the Fall when the children are back-to-school so they can start off fresh and full of good social skills. All these tools increase confidence and make them less awkward with one another. I think some parents would love this too.